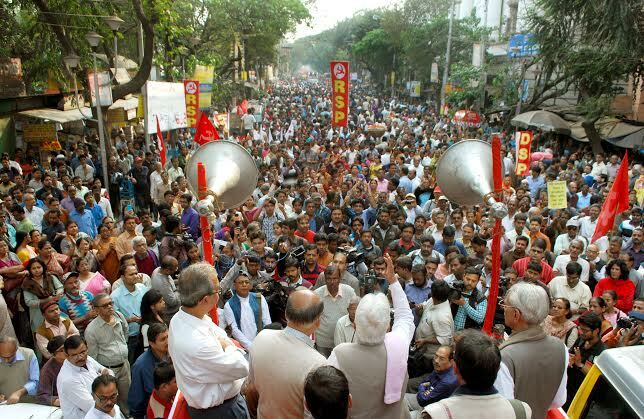 Thousands upon thousands of people with Red Flags poured into the Sahid Minar area in Kolkata on December 16, 2014 openly challenging the anti-people policies being pursued by the BJP-led central and TMC-led state government. 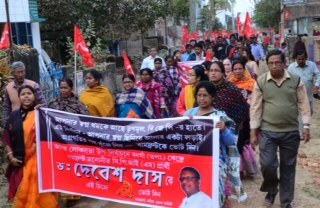 The sea of humanity had assembled there at the call of the South 24 Parganas district committee of the CPI(M). They were protesting against the heightened threat from communal forces, corruption and other burning issues confronting the people. 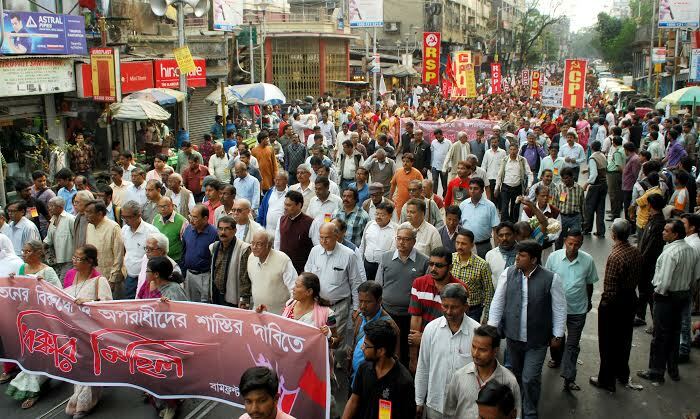 CPI(M) State Secretary Biman Basu addressing the mammoth gathering called upon the people to build a strong movement against the policies being pursued by the central and state governments. 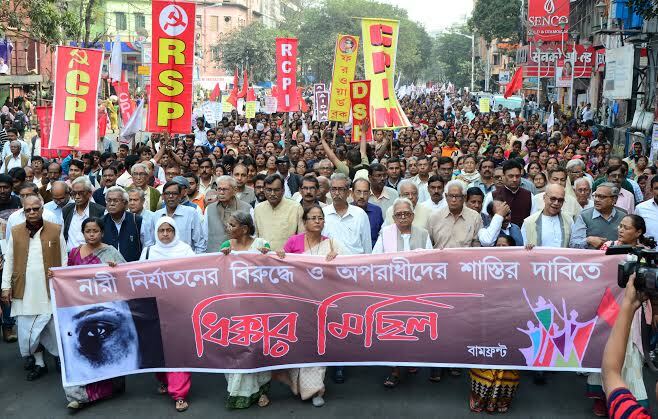 He said that despite the failure of the TMC government on various front, the CPI(M) would not demand the invocation of Article 356 of the Constitution, though the TMC while in opposition had time and again demanded the same. Instead, he said the Party will expose the misdeeds of this government and let the people decide. 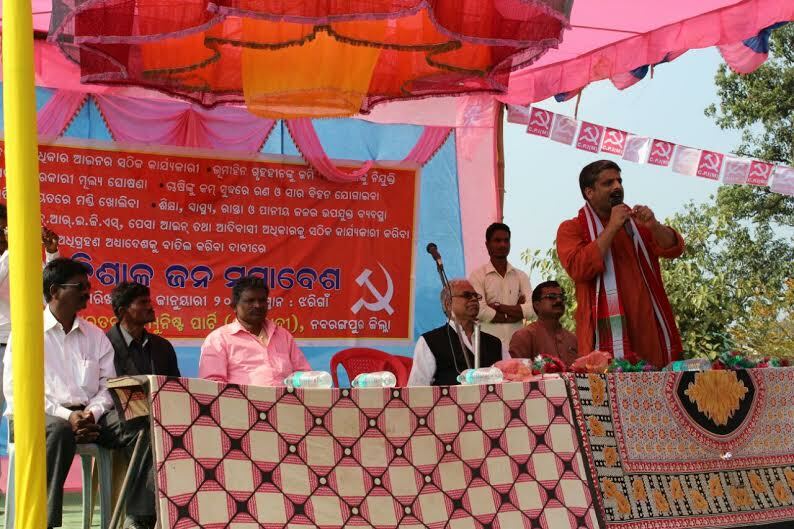 Leader of opposition in the state assembly Surya Kanta Mishra alleged that apart from the Saradha scam in which several top TMC leaders are involved, there area about 200 other Chit-Fund Companies, who have also looted about 60 thousand cores of rupees of common people. All those who are involved in these fraudulent activities should be arrested, their properties confiscated and money returned to the duped people from the proceeds of the sale of these properties. Central Committee member Goutam Deb addressing the media through video conferencing accused both the TMC and BJP of giving impetus to communal and fundamental forces. 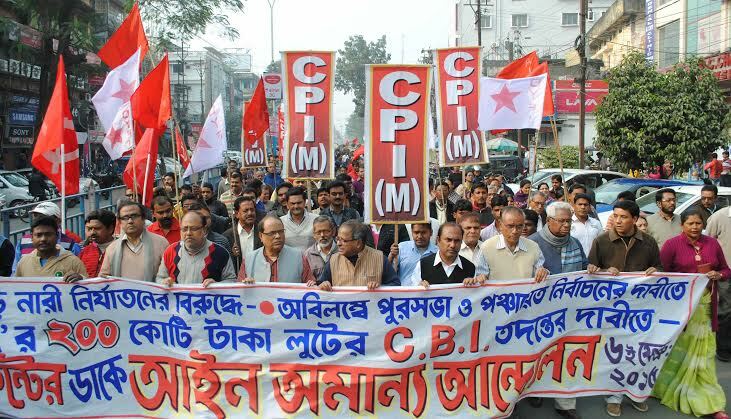 An estimated 2 lakh people carrying CPI(M) banners and flags marched towards the Nabanna the new state secretariat but were stopped from proceeding by the heavy police contingent deployed there. 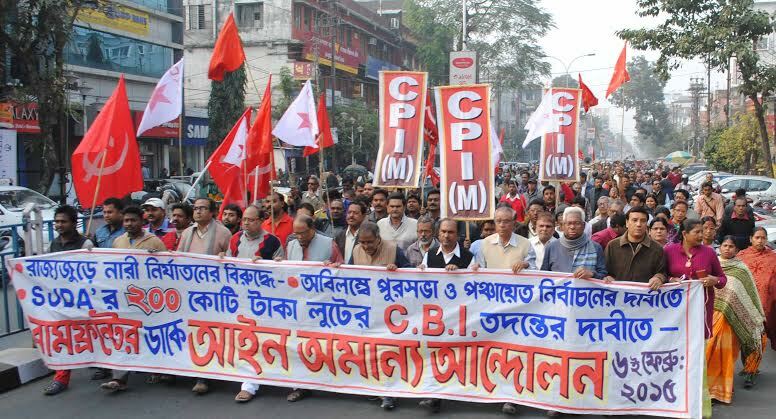 Though the agitated people wanted to cross the barricades, CPI(M) leaders persuaded the crowd to maintain calm. 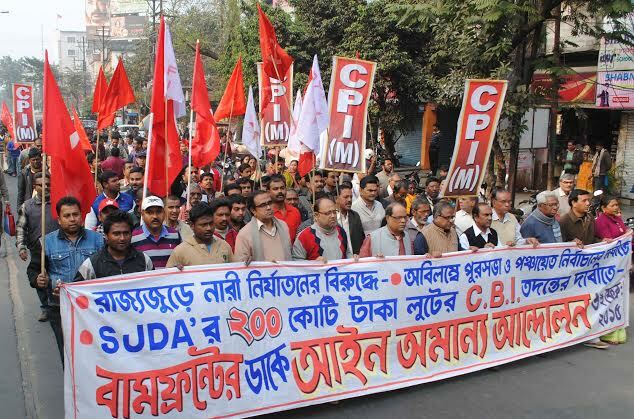 Minister Partha Chatterjee received a delegation of Left leaders who handed over a 19 point charter of demands. 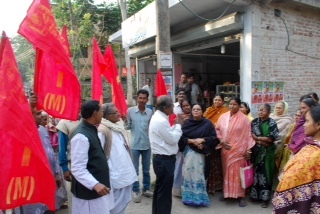 Earlier CPI(M) Polit Bureau member Buddhadeb Bhattacharya interacted with family members of the martyrs who were killed during the TMC regime. Cheques were handed over to these families by Biman Basu, Kshiti Goswami, Swapan Banerjee and other leaders of Left Front.